This article first appeared in The Edge Financial Daily, on February 8, 2019. 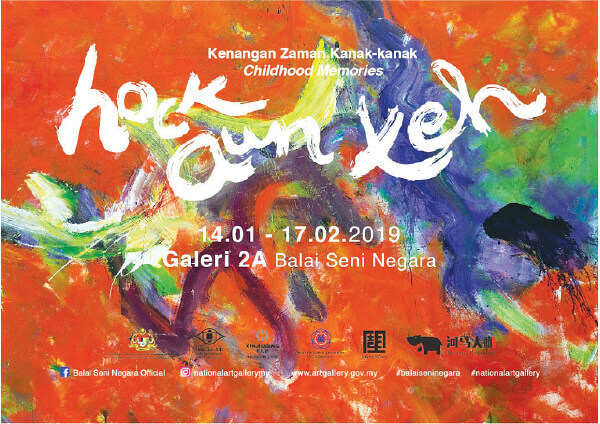 Malaysian artist Hock Aun Teh presents his second solo exhibition Kenangan Zaman Kanak-kanak (Childhood Memories). Despite being based in Scotland for over 45 years, he still holds fond memories of his childhood in Taiping, Perak. He has uniquely combined the essence of the east and west in his works, displayed at the National Art Gallery, 2, Jalan Temerloh, Titiwangsa, Kuala Lumpur until Feb 17. It is open daily from 10am to 6pm. For further details, visit artgallery.gov.my. This exhibition brings together eight artworks by three visual artists from Malaysia and Indonesia. 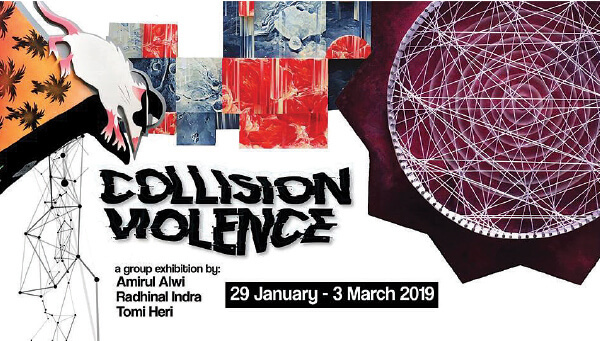 The artists present different interpretations of Collision Violence such as Amirul Alwi’s studies of Chakras, Radhinal Indra’s focus on celestial objects and Tomi Heri’s kaleidoscopic stories. It is held at Artemis Art, Lots 21 & 22, Level G4, Publika @ Dutamas, 1, Jalan Dutamas 1, KL until March 3. It is open on Fridays and Saturdays from 11am to 7pm, and 12pm to 6pm on Sundays. Call 03-6211 1891 for more information. Internationally renowned stand-up comedian Ro Campbell has performed in over 40 countries worldwide. 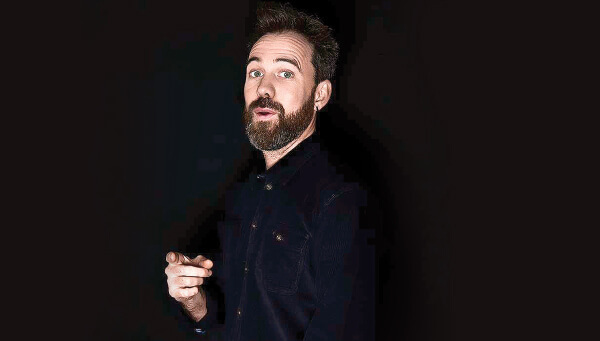 He was crowned Scottish Comedian of the Year in 2010 and has since gone on to writing for British TV and radio, showing his wit to a national audience across the region. He will be performing today and tomorrow at 9pm at The Crackhouse Comedy Club, 1st floor, Lorong Rahim Kajai 14, Taman Tun Dr Ismail, Kuala Lumpur. Tickets are from RM40. For more information, visit crackhousecomedy.asia. 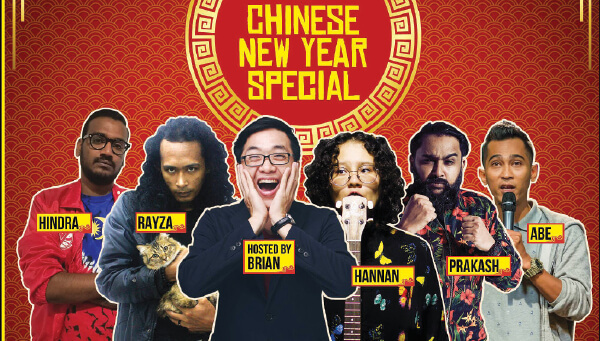 Come together to enjoy some of Malaysia’s top comedians highlighting the Chinese New Year festive season. From stories about its customs and practises to their personal observations about fireworks, this show will feature Prakash Daniel, Rayza Mukmin, Abé Laté, Hannan Azlan, Hindravel Chandrabose, and hosted by Brian Tan. It will be from 8.30pm to 10.30pm at The Joke Factory, 27, Jalan Dutamas 1, Level G3, Block C5, Kuala Lumpur. Tickets are from RM60. For more information, call 013-523 1491. 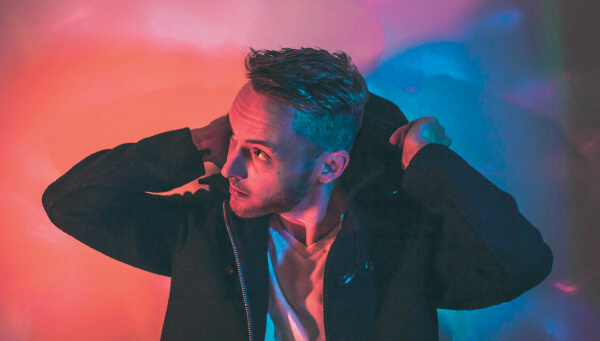 This Australian singer-songwriter has spent most of his adulthood travelling across Asia, Europe and Australia while performing breathtaking shows, boasting his powerful stage presence and ability to draw audiences in singalong sessions. His showcase is at 10pm today and tomorrow at Alexis Bistro Ampang, Lot 10, Great Eastern Mall, 303, Jalan Ampang, Kuala Lumpur. Tickets are sold at RM10 on alexis.com.my. 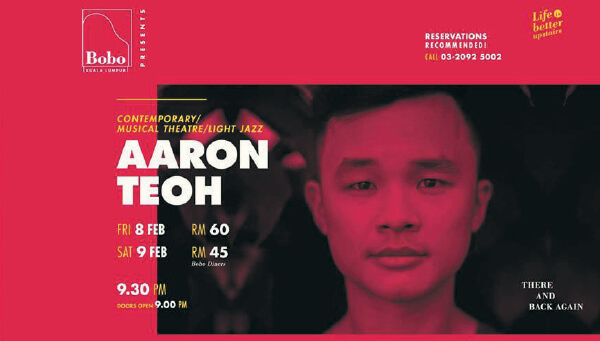 Aaron Teoh comes back home before embarking on a UK tour of The King and I, playing Prince Chululongkorn. He will be performing love songs from the stage alongside easy listening contemporary songs during his show, starting at 9.30pm today at Bobo KL, 65-1, Jalan Bangkung, Bangsar. Tickets are at RM45 for diners and RM60 for non-diners. For further information, call 03-2092 5002. Join 23-year-old Tasha Aleia as she performs her brand of pop, soul, R&B and funk tunes. Her stage presence and sultry vocals will surely captivate you. Her showcase will be at 10pm tomorrow at No Black Tie, 17, Jalan Mesui, off Jalan Nagasari, Bukit Bintang, Kuala Lumpur. Tickets are sold from RM64 on noblacktie.com.my. Elizabeth Arden Eight Hour x Love Heals is a new limited-edition multipurpose skin protectant that moisturises and protects skin from head to toe. This all-in-one beauty balm is sold at RM121. Be creative with your Valentine celebrations by gifting a matching Ray-Ban eyewear for your other half. 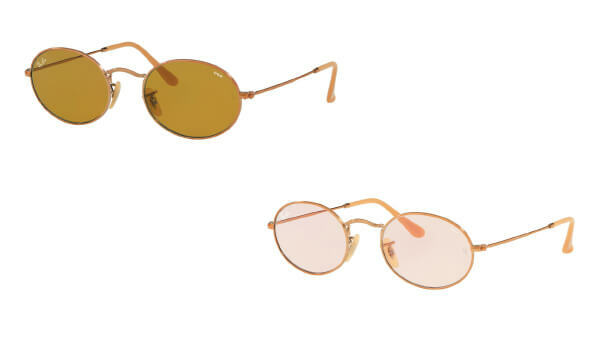 Visit ray-ban.com/malaysia or a retail store to find your desired pair. 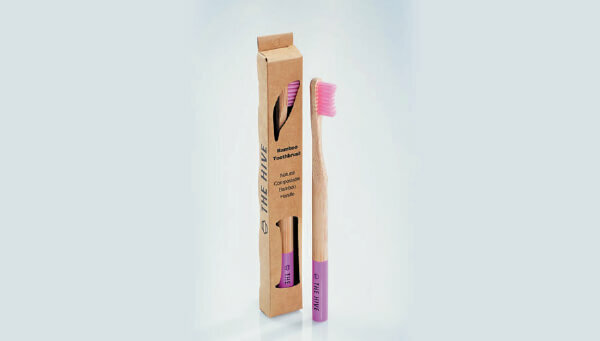 For Valentine’s Day, The Hive offers an attractive pair of toothbrushes at RM22, available until Feb 14 at thehivebulkfoods.com.